In South Sulawesi province, the primary region for high altitude Arabica production is in mountainous area called Tana Toraja, at the central highlands of province. To the south of Toraja is the region of Enrekang. The capital of this region is Kalosi, which is well-known brand of specialty coffe. 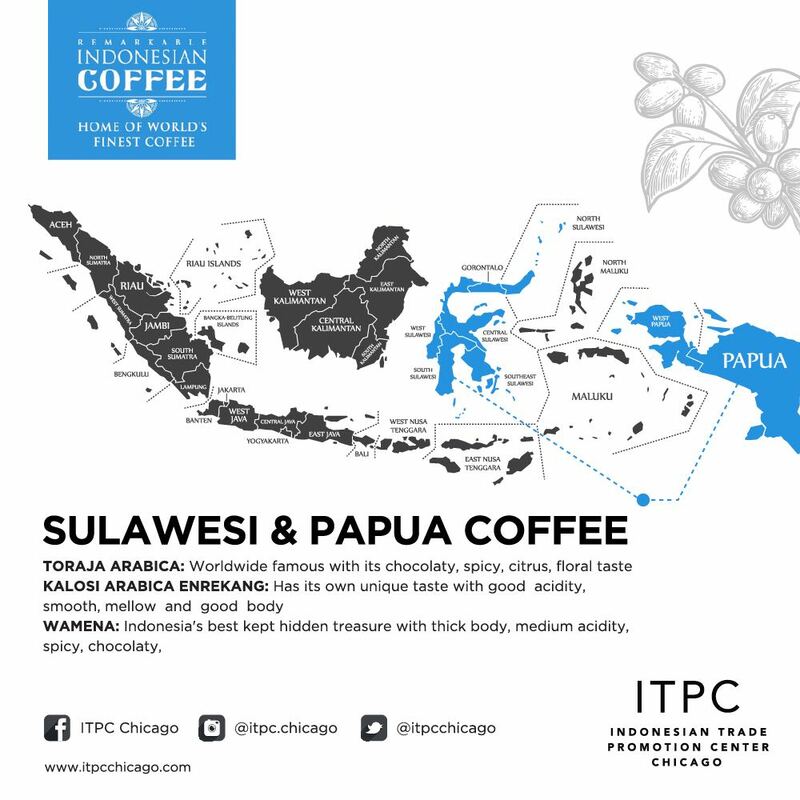 The regions of Mamasa (to the west of Toraja) and Gowa (to the south of Kalosi), also produce Arabica, although they are less well known. Most of Sulawesi’s coffee is grown by small-holders, with about 5% coming from seven larger estates. The people of Tana Toraja build distinctively shaped houses and maintain ancient and complex rituals related to death and afterlife. This respect for tradition is also found in way that small-holders process their coffee Sulawesi farmers use a unique process called “Giling Basah” (wet hulling). The name Java is almost synonymous with quality coffee. It is the site of the first coffee plantation, a century-old coffee research institute, and one of a few places where the Coffeea arabica, C. canephor and C. liberica are still planted.